Does your outdoor clothing help keep you safe? Does your outdoor clothing help keep you safe? Does Your Outdoor Clothing Help Keep You Safe? When hiking or backpacking, the relationship between outdoor clothing and personal safety is obvious. We know our woods wardrobe should be comprised of layers. On the base layer we avoid cottons in favor of moisture-wicking fabrics. With outer layers we look for ventilation, wind protection and water resistance. In between it’s always good to have a lightweight fleece handy when extra warmth is necessary. Various combinations of the three keep us covered in all conditions. But how many of us consider clothing color as a safety feature? Confession time: I’ve never really taken color into consideration when choosing hiking clothing. My wardrobe is packed with chameleon colors such as black, green and brown. It wasn’t until a recent online EMS transaction that, when ready to click purchase on a forest green thermal base layer, I had a moment’s pause. I know what you’re thinking: What does the base layer color matter in search and rescue situations? Before you conclude I’ve jumped the shark on this topic, consider this: When disoriented from hypothermia, it’s not uncommon for people to actually remove clothing. This is something warden Berry has experienced first hand. The point of this article isn’t to scare everyone into dressing like a Cabella’s mannequin or an eighties neon sign. And just because I don’t have a sense of style doesn’t mean I’m trying to take you down with me. On the contrary, Northeast trails are punishing gauntlets of rocks and roots, keeping the door to injury open for even the most experienced hikers. Add New England’s notoriously fickle weather, and the possibility of getting disoriented or hypothermic—a four-season threat—isn’t out of the question, either. So why not have an article or two of clothing that helps a search? That simple question convinced me to switch the forest green base layer to whatever fancy word EMS is currently using for orange. Would you do the same? 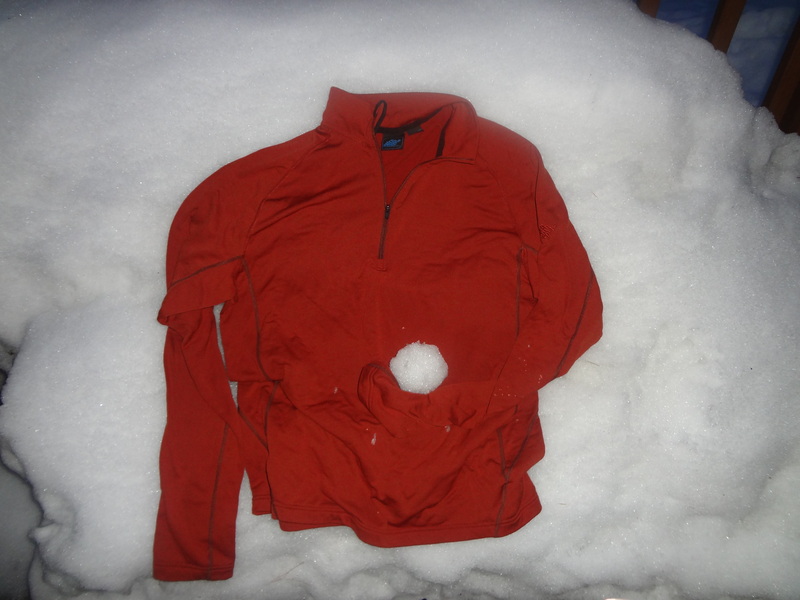 4 responses to Does Your Outdoor Clothing Help Keep You Safe?